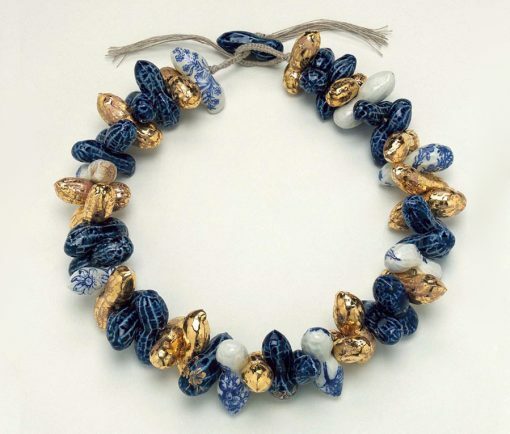 A big necklace that consists of gilt and painted ceramic peanut beads. 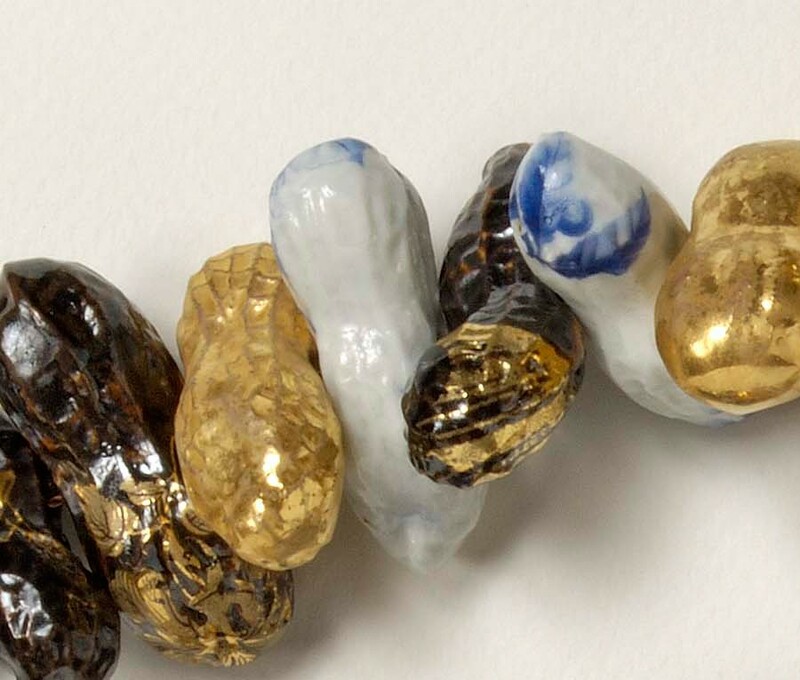 Wiertz chunky signature piece is this ‘Peanut’ necklace, Feeding the Birds. 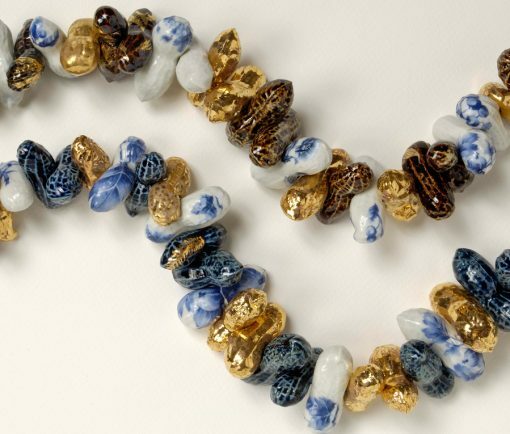 The idea for this necklace originated while preparing a string of peanuts for the birds in wintertime!